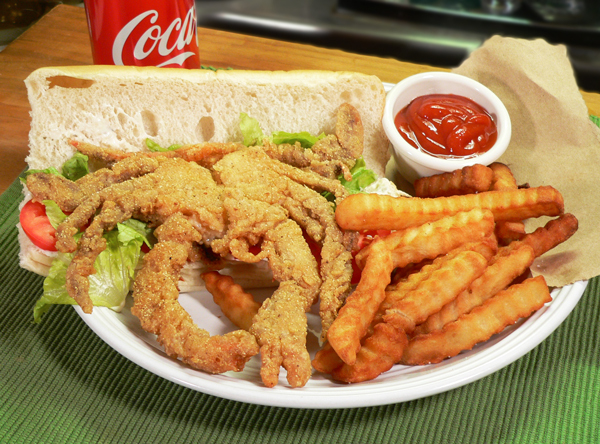 Follow our complete, step-by-step, photo illustrated recipe to prepare, fry and assemble this Soft Shell Crab Sandwich. 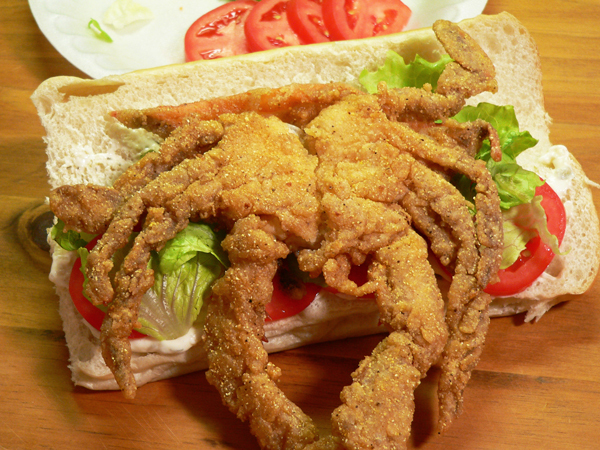 Call it a Po’Boy if you like, but there’s nothing poor about the flavor of a soft shell crab. It’s much easier to do than you might think. Printable recipe included. I must admit, I probably never even tried a soft shell crab sandwich until around 2013. Despite the fact that my older brother operated a seafood restaurant for several years, and despite the fact that I managed the kitchen in that same restaurant, soft shell crabs just were not on the menu for us. I must also admit, the first one I ever tried was absolutely terrible. It was so greasy I just couldn’t finish it. I’ll not disclose the name of the restaurant, but it was in Delaware. No offense to anyone from Delaware. Smile. I didn’t give up though. I had a really good one not many weeks later at a restaurant in the Northern part of the state of Virginia. I’ve loved them ever since. We have Blue Crabs off the coast of North Carolina. You may have seen my recipe for Crab Annie that I posted here on Taste of Southern back in 2014. If not, I hope you’ll take a look. I find Blue Crab to be amazing little creatures. Females can release up to TWO MILLION eggs at one time, but usually only spawn once, maybe twice in their lifetime. In order to grow, they must shed their shell and form a new one which can happen as many as 25 times during their two to three year lifespan. When it “molts,” or sheds it’s shell, the crab comes completely out of the old shell, claws and all. At this point, it’s referred to as a “soft-shell crab” and is considered to be a delicacy when they’re available. But, you have to get them before the new shell starts to harden within a day or two. They can even “eject” one of their claws if trapped or caught, but they regrow it when they “molt” next time around. Fascinating or what? You can learn more here: Blue Crabs in North Carolina. I could go on, but I think you get the message. I kinda like them. So, if you’re ready to give our Soft Shell Crab Sandwich a try, then let’s get in the kitchen, and… Let’s Get Cooking. 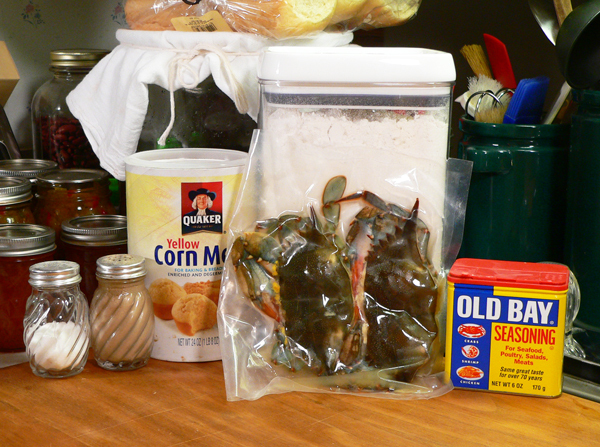 How To Make A Soft Shell Crab Sandwich: You’ll need these ingredients. I’m using frozen soft shell crabs for this particular recipe as fresh one’s are not readily available for me. Fresh would be better, but sometimes you have to use what you have. Right? The nice part about these though, is they have already been cleaned. That will save a little bit of time in the prep department. 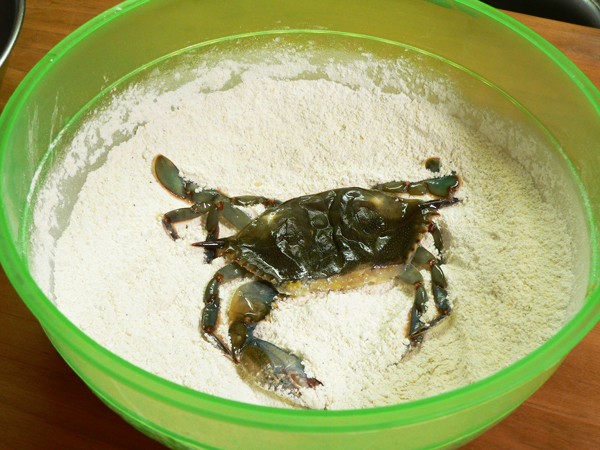 We’ll start by making our mix for the breading or coating for the crab. 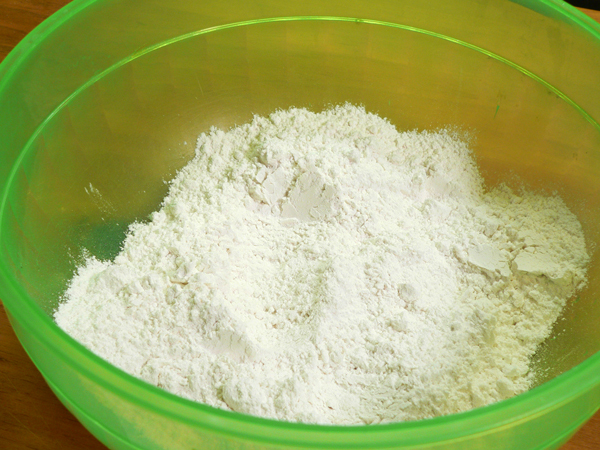 In a good sized mixing bowl, add the flour. Add the yellow corn meal. And if desired, add some Old Bay Seasoning. You could also just add some of your other favorites like Paprika, Cayenne Pepper, maybe a little Garlic Powder. Make it your own. 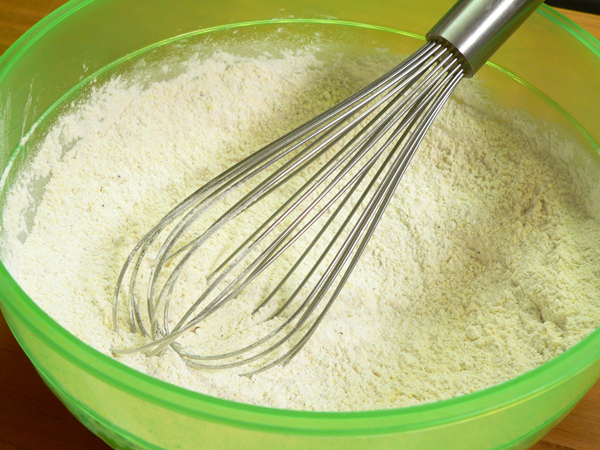 Whisk all the dry ingredients together really good. Don’t be afraid to taste the flour at this point. 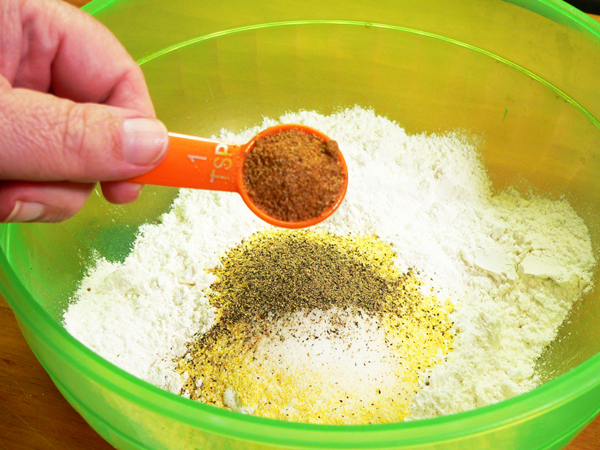 You’ll be able to tell if it has enough seasonings for your personal taste. If not, just add more of what you like the best. As we mentioned, just make it your own. Set the breader aside for the moment. 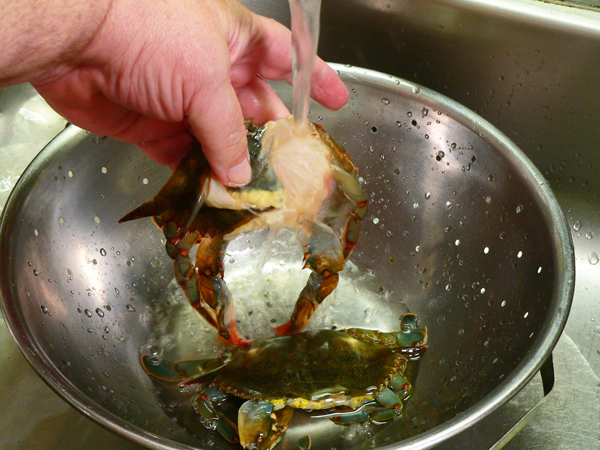 Gently rinse the soft shell crabs under cool running water. One of mine had already lost one of it’s main claws. They’re pretty delicate at this point, so handle them gently. As I mentioned, these have already been cleaned as far as having the gills removed. You’ll also want to lift the shell and rinse underneath that. If you see any bits of gill left, you’ll want to remove them. 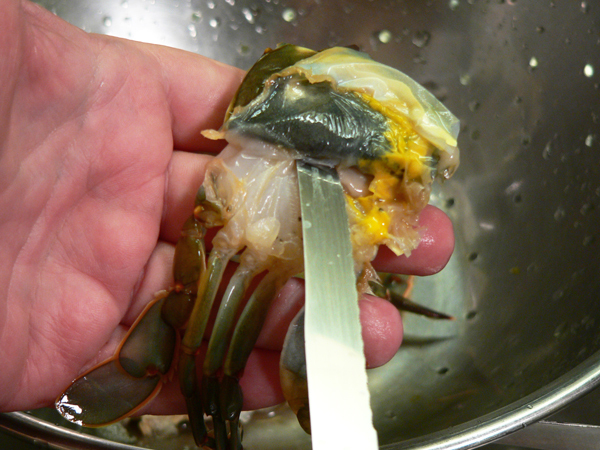 If you’re fortunate enough to have fresh soft shells, you’ll need to search out additional information on how to clean them if you don’t already know how. You might also want to run a sharp pointed knife into the middle of the crab. Crabs can store water in various pockets throughout their body that helps them to breathe and keep their gills moist. As long as the gills are moist, they can live out of water for long periods of time. If you pierce the center of the crab, you can release any water that might be stored in the body. 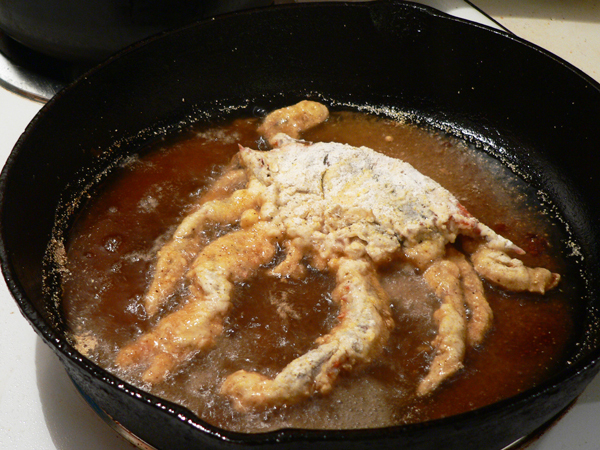 Folks will often talk about how a crab will “pop” once it’s in the fryer. Since water and hot oil don’t get along very well, releasing this water in the crab will save you from getting big hot oil splatters while you’re frying them up. Having said all that, we’re going to place the cleaned crabs in a bowl of water. You’ll find lots of variations on marinating and soaking the crabs in milk, buttermilk, or a combination of the two. We’re not going to do either, we’ll just be using water. 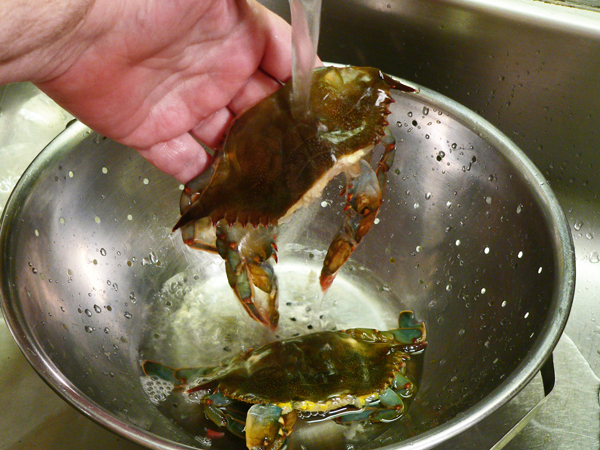 Working with them one at a time, gently shake off the excess water as you remove one of the crabs. 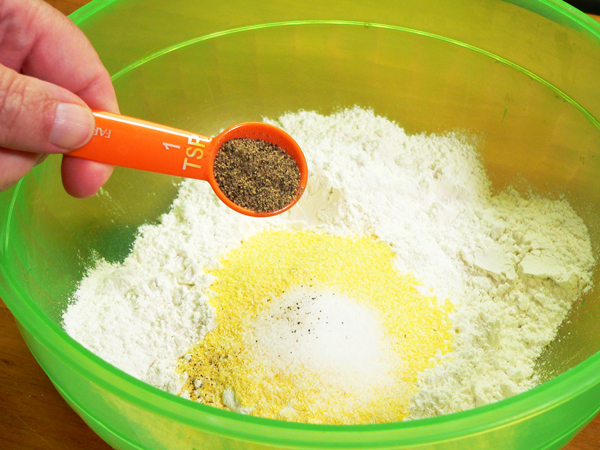 Drop it into the seasoned flour mixture and coat it all over with the flour. 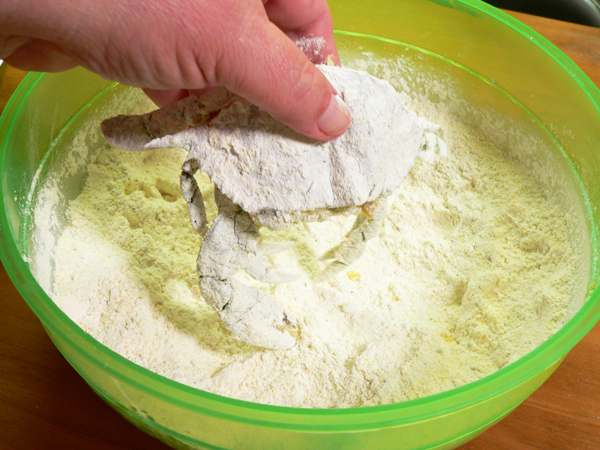 Gently shake off any excess flour as you carefully lift the crab. I’m not showing it here, but quickly dip the flour coated crab back into the water. 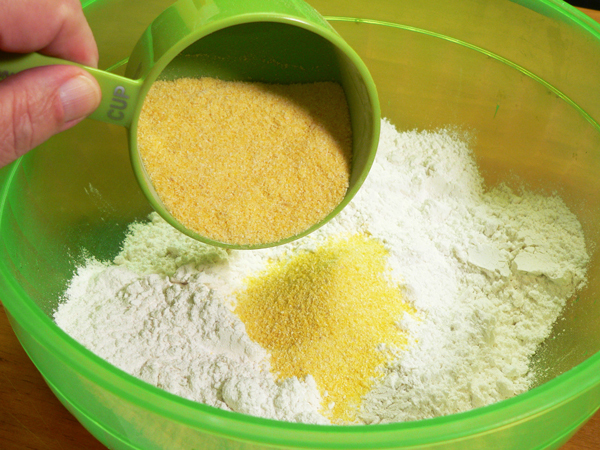 Shake it gently over the water bowl, then place it BACK into the flour. Coat the crab in flour again, making sure you get a good coating on the claws and the body. 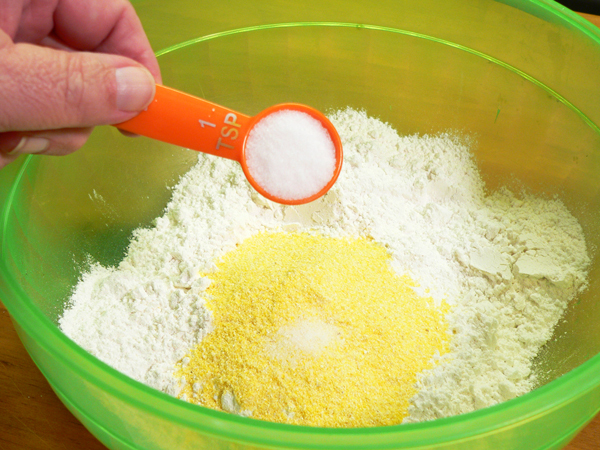 Shake it gently to remove any excess flour. At this point, you can either place it in the hot oil, or just lay it on a plate until you’ve got them both coated good and ready for the fryer or frying pan. I’m frying these in my cast iron skillet. If you have a deep fat fryer you can certainly use that. I’ve placed about 1/2 inch of canola oil in my skillet and heated it up to the frying point. Once the oil gets hot, just sprinkle a bit of the flour into the oil. If it kind of dances and sizzles, the oil is hot enough for frying. Of course, it’s even better if you have a thermometer. 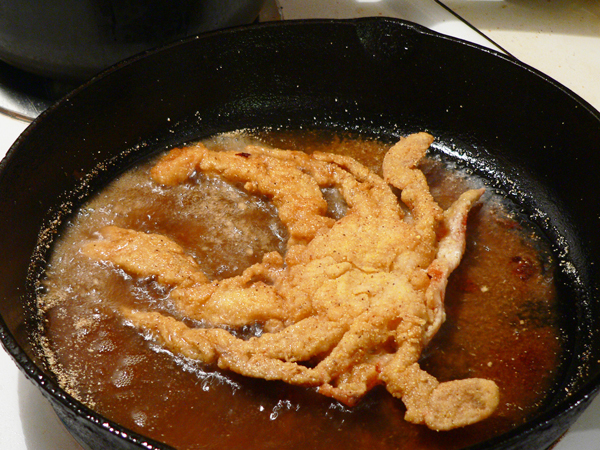 Gently lower the breaded soft shell crab into the hot oil. It’s going to splatter, so be careful. Use some tongs or a spatula and quickly separate the legs if they’re all bunched up. This will help them fry more evenly. My pan was too hot when I fried the first one, but it was doing much better by the time I got the second one in. They will only need about 3 minutes per side and they should be done. Tongs work good for this part. Lift the crab by the body and when it’s golden brown on the bottom, flip it over. If you try to pick it up by a leg or claw, it might break off. Fry the crab until it’s a nice golden brown on both sides. Remove it from the skillet when done, and place it on a piece of brown paper bag to drain. Or, place it on a wire rack. If you just lay it on a paper towel, it will not be as crispy when it’s time to eat it. Let it drain while you prepare the bun. Here’s one of my favorite ways to enjoy soft shell crab. Use either a sub roll, a section of French Bread, or whatever roll you prefer. There are many options for this part. Spread the bottom with a layer of Tartar Sauce. Add some slices of tomato. 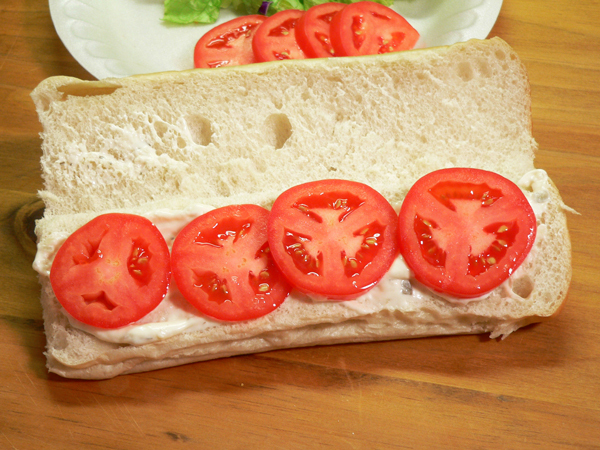 I think Roma Tomatoes are just the right size for a sub roll. Add a little shredded lettuce. Add the fried soft shell crab. You might even want to sprinkle a bit more salt and pepper on it at this point. 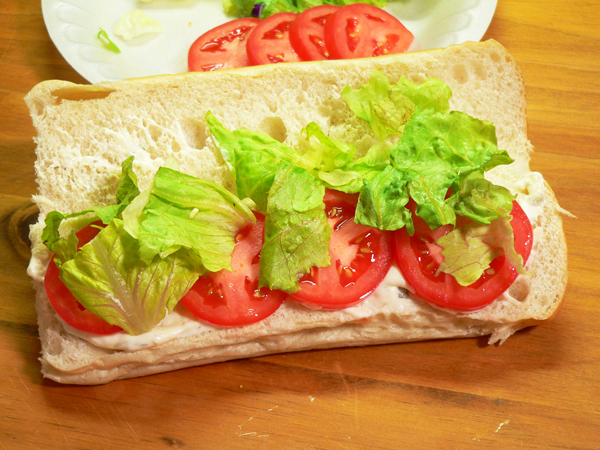 This is a big sandwich. Just give me some crispy crinkle cut fries, a little ketchup on the side, and we’re good to go. What’s your favorite way to enjoy soft shell crab? 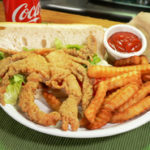 Follow our complete, step-by-step, photo illustrated recipe to prepare, fry and assemble this Soft Shell Crab Sandwich. Call it a Po’Boy if you like, but there’s nothing poor about the flavor of a soft shell crab. It’s much easier to do than you might think. Sub rolls, French Bread, or bread of choice. Prepare the coating mix first. In a large bowl, add flour. Add Old Bay seasoning, if desired. Whisk together well. Set aside. Rinse the crabs under cool running water. Be sure to rinse under the flaps of the shell, removing any gills that might be attached. Pierce the air sack in the middle of the crab body. Gently squeeze to remove any water. 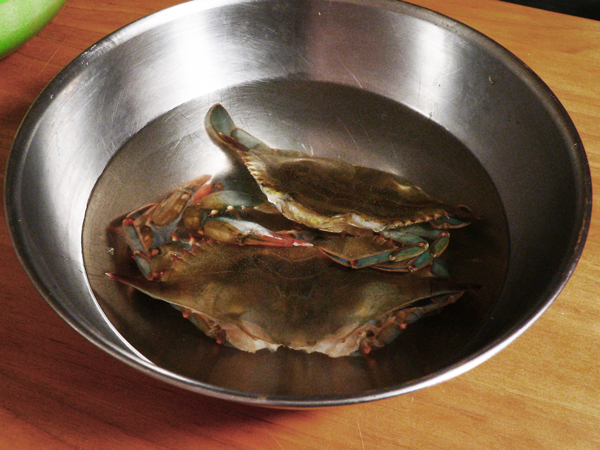 Place crabs in a bowl of water. Remove one at a time, shaking off excess water. 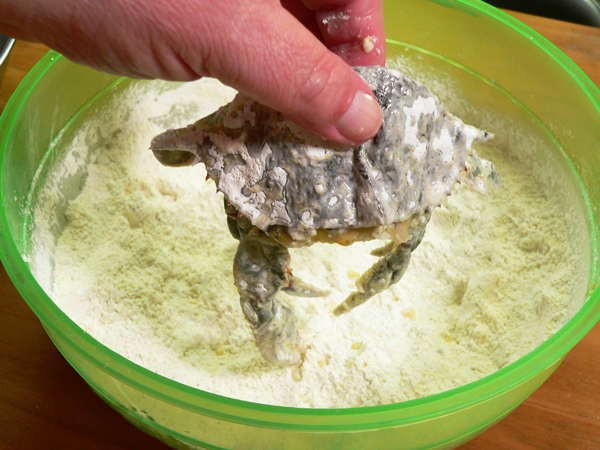 Dredge in flour mixture, coating both sides and all claws well with flour. Dip in water, shake off excess. Dredge again in the flour. Shake off excess. Heat about ½ inch canola oil in a skillet until hot enough for frying. Gently lower the crab into the pan. Separate the legs for more even frying. Let fry for about 3 minutes each side, turning when golden brown on the bottom. When done, remove from oil and drain on a piece of brown paper bag or wire rack. 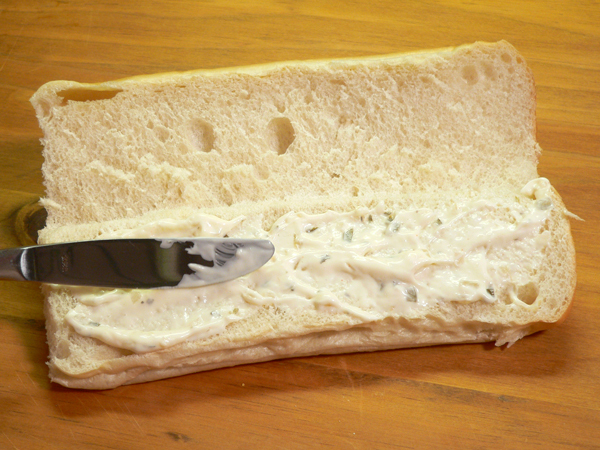 Spread a layer of tartar sauce on the bottom half of your bread. Top with fried soft shell crab. Your Comments: Have you ever made your own soft shell crab sandwich at home? Think you might try our recipe? I’d love to hear your thoughts. It will only take a minute or two for you to leave your comments in the section below. 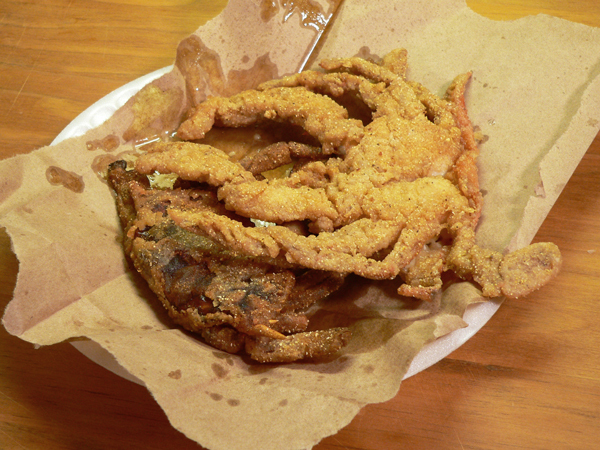 I first had soft shell crabs when my granddaddy fried them up years ago and I am 70 years old. My granddaddy was chief of police in Belhaven when he was younger but he was retired when he gave me my first soft shell crabs. They were delicious. I have loved them ever since. I don’t need a sandwich though. My son brings me some from the coast to the Raleigh area several times a year. Yum…. Thanks for the recipe, Gordon. I get your newsletter and have tried many of your recipes. I tried soft shell crab once in a restaurant and enjoyed it. I never knew the history of it as you explained it. As for blue crabs, I really like them and had them often years ago when we lived on the river in Bonita Springs, Florida. My brother-in-law, who also lived on the river, made and sold crab traps. He often gave us crabs he had just caught. Well, I had a disaster the first time I tried cooking them. He told me how to cook them and even loaned me a very large pot to boil them in. This happened to be at a time when my husband was working out of state temporarily. When I dumped them from the bucket into the pot of boiling water, one of them decided he wasn’t ready to go yet and landed on my kitchen floor. It terrified my 12 year old daughter. and me too. I ran to the garage and got my broom and swept him onto the screen porch then out the door. I hope he made it to the river and lived happily ever after because he really shook up my daughter and me. I look forward to your Monday News letters, always interested in what you have to say, and always an interesting recipe. I have never had soft shell crab before. Looks tasty and easy to prepare. When I was a child, we would visit my grandparents in Jacksonville, Florida, and at least twice during our 2 month visit, we would go crabbing. My mom and grandmother would cook the crabs and spend hours picking the crab meat out of the shells. I always thought it was a lot of work for such a small amount of crab meat; I think most of the crab meat went into their mouths rather than in the individual little cups for us to eat with cocktail sauce. They would sit and giggle together for hours fixing the cups. Good memories. I am sorry that your Vertigo isn’t going away, I am praying that you just wake up in the morning and its gone. Still praying for your friends too. Hi Marilyn, Thank you for sharing your memories with us. I suspect that even though they might have sneaked a taste every now and then, they still put a lot of work into sharing with the kids. It does take a lot of time for a small amount of meat. Hopefully you might get to try some soft shell crab one day. I think you’ll like it. I enjoy reading your Monday newsletter, sometimes I try the recipes, sometimes they sound like too much work for me, and as I’ve gotten older it doesn’t take much for me to say nope, too many steps involved. Thanks for always giving me something to smile or chuckle about. You feel like an old friend. Be blessed, and hopefully you will soon feel normal again. Hi Dolores, Thanks for calling me an “OLD” friend. Smile. They look great! I made a lot of them in Ocean City, Maryland, and basically followed your same recipe. Never heard about the milk or buttermilk–I don’t think they need them. I wish I could get the frozen ones down here in Florida. Soft shell crab sandwich – so delicious, but only if they are prepared correctly. Looks like you’ve done that, as the sandwich looks delicious.